iTunes is the go-to software of many iOS users when it comes to managing iPhone music, books, TV shows, movies, etc. So, it would be quite frustrating if it starts crashing and gives "iTunes has stopped working" errors on your windows computer. 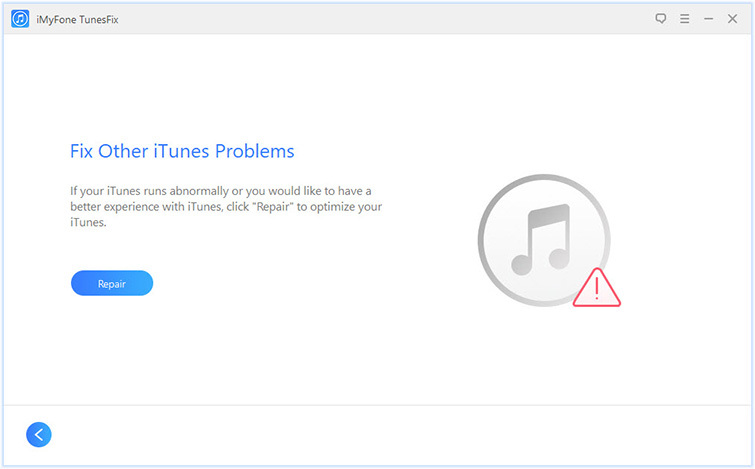 There could be number of reasons behind the "iTunes has stopped working" error. Some of the reasons are very common that most iOS users can fix easily, while there are others that are either complex or even unknown. Incompatibility between your iTunes data files and your Windows system files is one of the major causes of this error. This error can also occur if you are using an outdated framework of your Windows computer. Some of the other reasons include malware, virus, software conflict, bad installation, corrupted installation files of iTunes, etc. 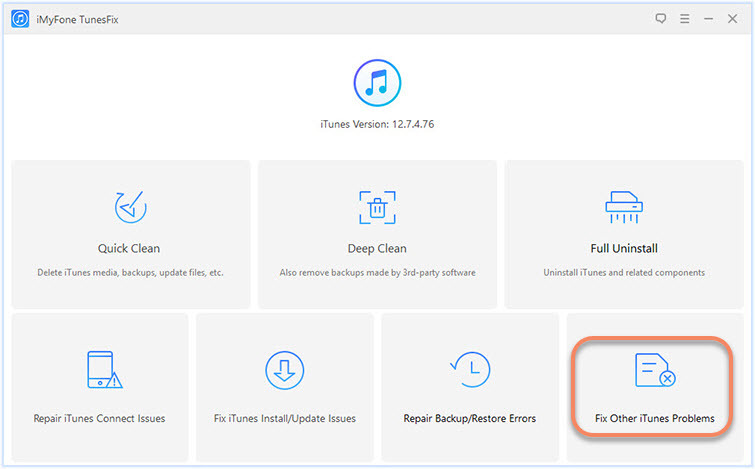 If you are fed up with random errors and crashes of iTunes, then you will be glad to know that a softwares that you can use to repair all iTunes issues. iMyFone TunesFix is a premier iTunes repairer to solve iTunes problems conveniently. It offers plenty of solutions for different errors including "iTunes has stopped working". TunesFix can automatically detect your iTunes errors and fix with one click. It helps to repair various known and unknown iTunes errors. It can be used on almost any PC system and iTunes version. It provides two cleaning modes to delete useless data files created by iTunes. How to Fix "iTunes has stopped working" error with TunesFix? Step 1: Launch TunesFix on your computer and it will auto-detect your iTunes. Step 2: Select "Fix Other iTunes Problems" tab. Step 3: Click "Repair" to start the fixing process. Step 1: Launch Control Panel on your computer and navigate to Programs > Program and Features. 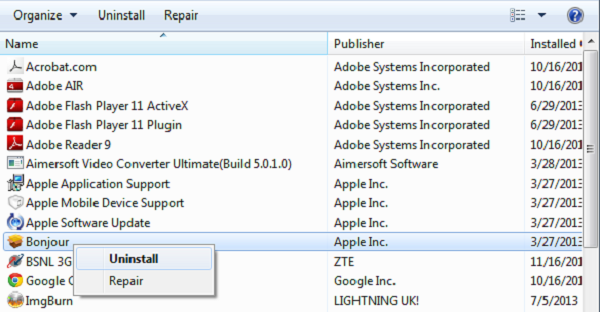 Step 2: Find and select Bonjour from the list of programs and click on the Repair option. Windows will then attempt to repair Bonjour. After the repair, iTunes will be able to work normally on your Windows 7. 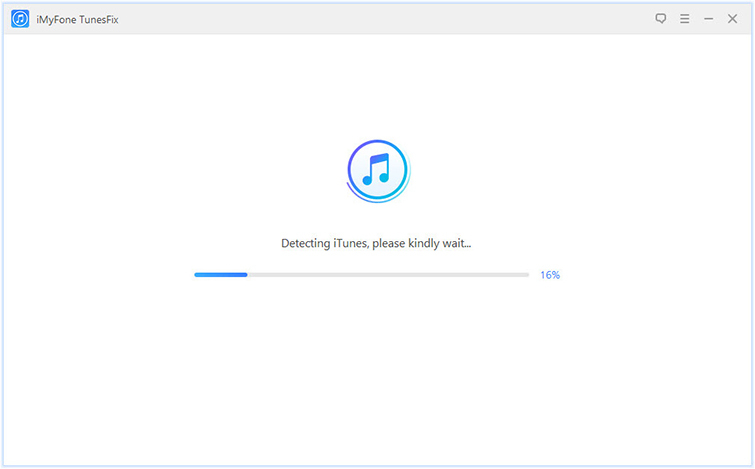 Launching iTunes in Safe Mode isolates the software from any interferences caused by third-party scripts or plugins. It is a potential fix for ‘iTunes has stopped working' error. Step 1: Press and hold down the CTRL and Shift keys on your keyboard. Step 2: Now launch iTunes by double-clicking its icon from desktop or from Start Menu. iTunes will display a message telling you that it is running in Safe Mode. Step 3: Click on Continue button and iTunes will start in Safe Mode. iTunes updates fix bugs and errors in addition to adding new features. So it would be a good idea to update iTunes to the latest version in order to fix the stopped working error. Launch iTunes and navigate to Help > Check for Updates. 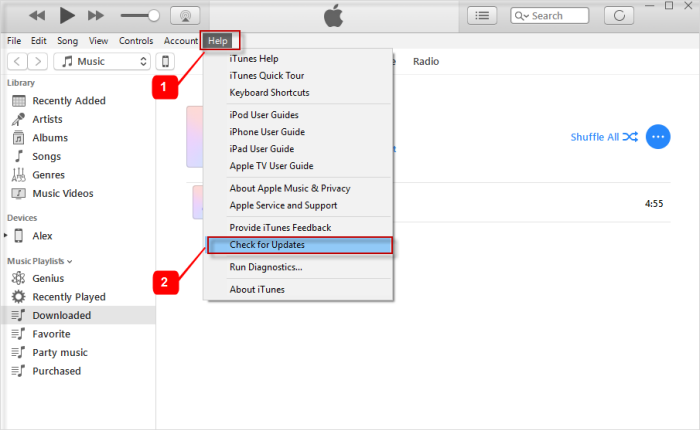 Follow the prompts shown on your screen to update iTunes to the latest version. Step 1: Launch Control Panel and navigate to Programs and Features on your Windows PC. 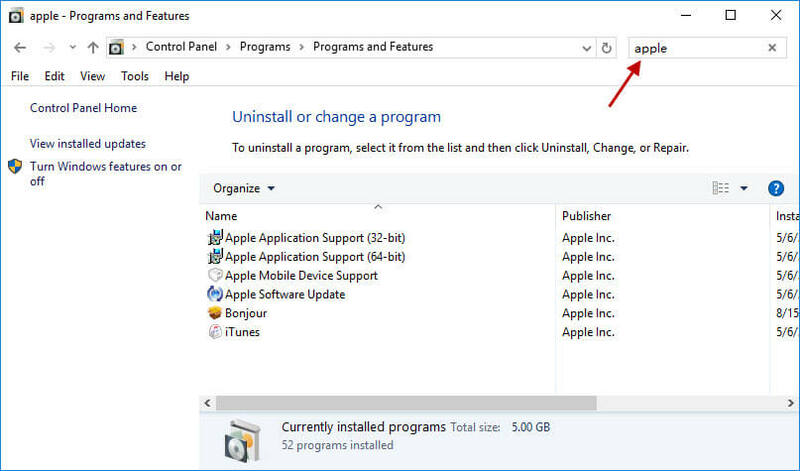 Step 3: After uninstalling, restart your PC and then download and install iTunes from official website. Then restart your Windows computer to see whether the "iTunes has stopped working" error occurs or not.